Tacoma is the not-at-all related followup to the critically acclaimed Gone Home and Fullbright's second game. The sophomore game stereotypes suffer the same problems as a sophomore album from a band. Can they repeat success? Will they try to strike out in a different direction and potentially lose their fans with a bold change, or will they try to recapture and build upon the success of their first release? In Tacoma, you will find less of the former and more of the latter. You are Amy Ferrier, a contractor for Venturis Corporation. Your task is to retrieve the AI named ODIN from Lunar Transfer Station Tacoma. While you're there, you can also learn the fates of the crew who are mysteriously absent. It doesn't take long to find out that a disaster aboard Tacoma is the cause of their disappearance. Playing Tacoma is going to feel extremely familiar to fans of Gone Home. You're in space, on a space station, but you're still largely picking through other people's stuff and listening to their stories as you collect data on ODIN. The mechanical twist to Tacoma is that the stories are told mostly through wireframe mannequins of the crew presented in an alternate reality (AR) interface. ODIN was recording these scenes and allows you to view some of them. You can fast-forward, rewind, interact with physical objects and AR interfaces as you follow the crew through these scenes. The way these scenes play out is easily the most natural feeling presentation of video game cutscenes I've ever seen. A scene may start with half of the crew present, but some will walk in, others will walk out, and you can follow them through the scene to catch different conversations. It's really cool to watch in motion, and allows the game to present multiple storylines in an extremely seamless way. Tacoma is packed with little side stories. If you were to solely follow the AR scenes or watch them only once, you'd absolutely get the gist of the main plot. However, in almost every drawer there's highly detailed notebook or tablet full of details that make Lunar Transfer Station Tacoma a place in the world, and make the wireframe cutouts into people. Tacoma accomplishes an incredible task of humanizing a seven person crew, in a video game, in a short amount of time. The short play time is what will cause the most heartache for people. Like Gone Home, my personal playtime with Tacoma clocked in at a brief two and a half hours. I'm thorough too; I watched every AR cutscene multiple times to follow all of the characters in each scene, I read every AR interface, and I unlocked every locked door. A speedrun of Tacoma would only be limited to the amount of time it takes to watch each AR scene once, which is likely far less than 30 minutes total. If the short playtime doesn't discourage you, looking for anything more than a futuristic, AR-enhanced version of Gone Home might also bring disappointment. Make no mistake, for better or worse, Tacoma is very much a product of the team that made Gone Home. It didn't suddenly turn into System Shock or The Walking Dead. The puzzles to be solved are simple, and there is almost zero player input. 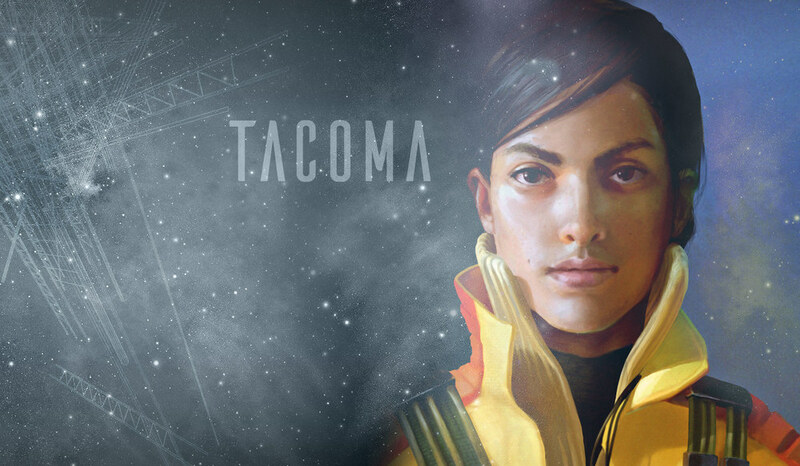 In some ways, Tacoma would almost entirely complete itself without the player. In fact, you don't even need to watch the AR scenes. You can accomplish your mission by watching slow moving progress bars fill in over the course of three hours. But you should watch those AR scenes, and interact with the objects around you, and get attached to these very human characters. Tacoma has some of the finest video game storytelling you will ever find. Just don't go looking for something more than that, because you won't find it. Tacoma is excellent, but it rides on the shoulders of Gone Home.